Homo Faber is an inspiring exhibition of European craftsmanship, an international cultural event to showcase fine contemporary, traditional and rare craftsmanship and its link to the world of creativity and design. Encounter master artisans and discover their multifaceted know-how through live demonstrations as well as the latest virtual reality technology. Listen to new ideas and expert voices throughout the program of Creativity and Craftsmanship Conferences. From breathtaking jewellery to bespoke bicycles, from fascinating skills on the brink of disappearing to some of the most sought after icons associated with European style, Homo Faber covers a wide range of materials and disciplines and celebrates the human spirit and talent of the creators. A team of world-class designers, curators and architects have come together to bring the finest European masters and their workmanship on center stage specifically for Homo Faber to provide visitors with an opportunity to experience craftsmanship in a new, unique and memorable way. The exhibition is an immersive experience. Visitors will be able to meet master artisans or virtually enter their workshops, to observe conservators at work and wander through worlds of fine craftsmanship. 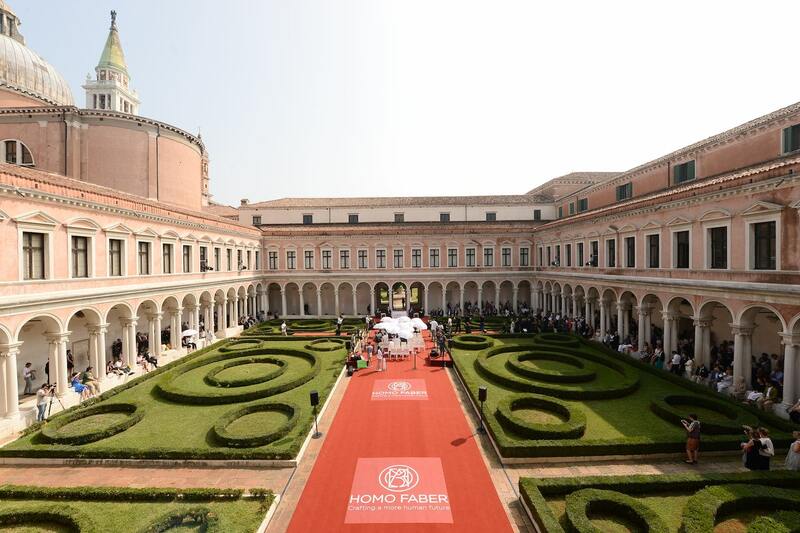 Covering nearly 4,000 square metres, Homo Faber will offer the public a rare opportunity to explore the island and the magnificent complex of the Fondazione Giorgio Cini, including areas that are generally not accessible to the public.